Huge Price reduction! Stunning home in an exquisite gated vacation community close to ever popular Champions Gate. This home boasts granite counters in the kitchen, cultured marble tops in the bathrooms, oversize 18 x 18 tiles throughout the first floor, stainless steel appliances, heated pool with spa and extended deck, stone elevation and brick paver driveway. Great additional bonus room on second floor & games room in garage space. 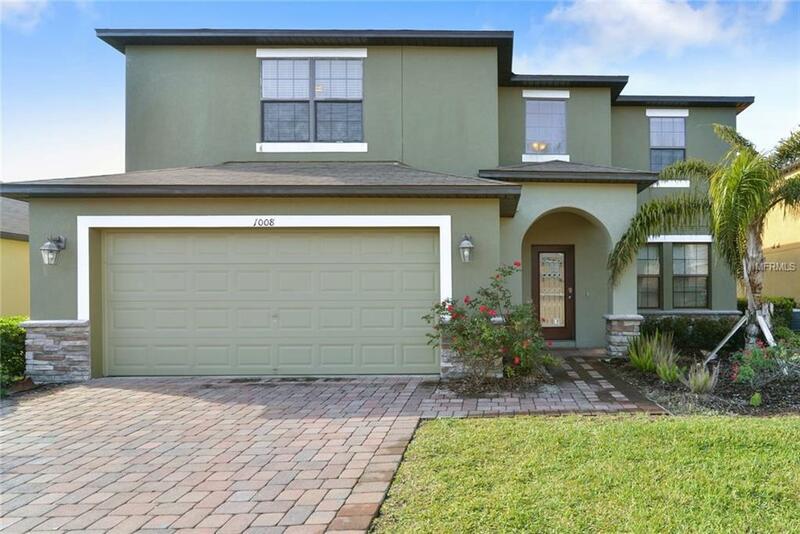 Excellent location only 15 minutes from Disney World and very close to shopping and restaurants. Ideal as a vacation home investment as bookings can convey to new owners making it completely turnkey. Also great as a permanent residence with spacious living accommodation and great access to US27, I4 and SR429. Owner will transfer 12 month HomeAway Subscription to new Buyer as an incentive. Home is vacant & easy to show !